On December 4, 2013, the U.S. EPA announced the immediate availability of updated versions of CALPUFF and CALMET (version 5.8.4, level 130731). These executables replace CALPUFF and CALMET version 5.8 (level 070623) as the "EPA-Approved" versions. This update does not affect CALPOST. The updates include numerous bug fixes previously implemented by the model developers but never approved by the EPA. More information including a detailed report summarizing each bug fix can be found on the Support Center for Regulatory Atmospheric Modeling website. Lakes Environmental is working on a new version of CALPUFF View that will incorporate these changes. CALPUFF View users can refer to this month’s Modeling Tip for instructions on using the new executables in their existing software. Lakes Environmental will be in Dallas, Texas, to present a full week of AERMOD and CALPUFF training from February 24 to 28, 2014. CALPUFF course students will have the opportunity to complete a Do It Yourself Case Study using MM5 processed data for a location of their choice making this course of great benefit to their modeling work. Register today to take advantage of our early registration discount! Lakes Environmental will be in Toronto to provide a 2-day AERMOD course from February 10 to 11, 2014. Space will fill quickly! Register today to take advantage of our early registration discount! CALRoads View™ Version 6.2 Released! Lakes Environmental released CALRoads View Version 6.2 on November 21, 2013. Check out our release notes for a list of the changes and new features available in CALRoads View Version 6.2. If you are currently in maintenance for CALRoads View and did not receive an email regarding this update, please contact us at support@weblakes.com. If you are a user of CALRoads View but are no longer in maintenance, please contact sales@weblakes.com for pricing to update your license to version 6.2. Dr. Jesse Thé, President of Lakes Environmental, presented the keynote speech at FIMAI 2013 (International Industrial Environment and Sustainability Fair) which took place in São Paulo, Brazil at the Expo Center Norte from November 5 to 7, 2013. Dr. Thé presented two speeches. One speech was focused on Real-Time Forecasting Systems for Incineration Units while the other focused on IT Solution Systems for Regional and Global Emissions Inventory. 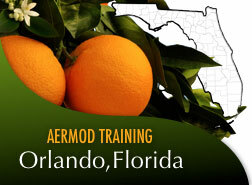 AERMOD – Orlando, Florida – Nov 18-19, 2013 – Course Filling Quickly! The AERMOD course being held in Orlando from November 18 to 19, 2013 has just a few spots available. The International Industrial Environment and Sustainability Fair (FIMAI), the largest environmental conference in Latin American, will take place from November 5 to 7, 2013 at the Blue Pavilion of Expo Center Norte in São Paulo, Brazil. Dr. Jesse Thé will be a guest speaker on Tuesday, November 5, 2013 at 2pm at the FIMAI main venue. Next month, Lakes Environmental will travel to Cape Town, South Africa, to take part as exhibitors at the 16th IUAPPA World Clean Air Congress 2013 from September 29 to October 4, 2013. We invite you to stop by our booth to meet Dr. Jesse Thé and Mrs. Cristiane Thé. They would be happy to speak with you regarding our technologically advanced environmental software solutions and services. Lakes Environmental is currently selecting locations for their 2014 AERMOD and CALPUFF course schedule. If you are interested in attending an AERMOD or CALPUFF course near you or if you would like to suggest a course location, please contact us by e-mail at training@weblakes.com. Since 1998, Lakes Environmental has been providing air dispersion modeling training to professionals from EPA offices, state agencies, consulting firms, and industry from across the globe and we continue to achieve outstanding results. For more information regarding our Air Dispersion Modeling course schedule for the remainder of this year, please visit our website. Register for one of our world class courses today! Lakes Environmental would like to thank everyone who stopped by our booth in Chicago at A&WMA’s 106th Annual Conference and Exhibition from June 25 to 28, 2013. We trust that you enjoyed your time at this year’s conference and look forward to assisting you in your endeavors through the coming year. See you in 2014 at A&WMA’s conference in Long Beach, California! Those who visited our booth had the chance to participate in a draw for a complimentary copy of our AERMOD View, CALPUFF View or AERSCREEN View software packages. We would like to take this opportunity to offer our congratulations to our software winners. Congratulations to our Software Winners! 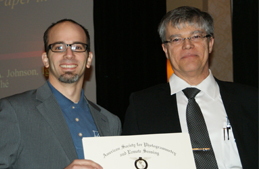 Lakes Environmental is pleased to announce that our paper, "Computing Non-Crossing Smooth Contours on Triangulated Meshes" was the first place recipient of the 2013 ESRI Award for Best Scientific Paper in Geographic Information Systems. This paper was authored by Dr. Yurai Núñez-Rodríguez, Dr. Igor Raskin, Dr. Jesse Thé, and Mr. Michael A. Johnson. The award winning article resolved an electronic mapping problem that had been investigated by international research centers for more than two decades. The 2013 ESRI Award places us as one of the top GIS scientists worldwide and is a definite recognition of the high level of research conducted at Lakes Environmental. Lakes Environmental was a proud sponsor of the recent Air & Waste Management Specialty Conference“Guideline on Air Quality Models: The Path Forward” held by the A&WMA Technical Coordinate Committee for Meteorology and Air Quality Modeling Issues (AB-3). The conference was held March 19 to 21, 2013 at the Sheraton Hotel in Raleigh, North Carolina. Nearly 60 presentations were given with topics covering AERMOD evaluation and validation, CALPUFF topics, background concentrations, secondary pollutant formation and modeling, meteorological data issues, discussion of the guideline, and other modeling topics. The conference also featured an exclusive town hall meeting with staff from the U.S. Environmental Protection Agency and Federal Land Management offices. Our own Michael Hammer presented his paper, “Prognostic Data in AERMET: A Case Study of MMIF versus NWS Data”, which analyzed the beta interface for preparing prognostic meteorological model data for use in the AERMOD model. Missed us at this conference? Look for Lakes Environmental at other upcoming events and shows like the A&WMA Annual Conference and Exhibition taking place in Chicago from June 25 to 28, 2013. AERMOD View™ Version 8.2 Released! On April 18, 2013, Lakes Environmental released AERMOD View Version 8.2. Check out our release notes for a complete list of the changes and new features available in AERMOD View Version 8.2. If you are currently in maintenance for AERMOD View and did not receive an email regarding this update, please contact us at support@webLakes.com. If you are a user of AERMOD View but are no longer in maintenance please contact LakesSoftware@webLakes.com for pricing to get up and running on version 8.2. CALPUFF View™ Version 6 Released! Lakes Environmental released CALPUFF View Version 6 to its growing base of users on March 6, 2013. *The tile maps feature is only available to CALPUFF View users in current maintenance. For a detailed listing of updates available in CALPUFF View Version 6, please check out our latest release notes. If you are currently in maintenance for CALPUFF View and did not receive an email regarding this update, please contact us at support@webLakes.com. If you are a user of CALPUFF View but are no longer in maintenance please contact sales@webLakes.com for pricing to get up and running on version 6. On March 4, 2013, the EPA released a draft permit modeling guidance for PM2.5 for public comment. The deadline for comments to the EPA on the draft guidance is April 17, 2013. The intention is for the EPA to provide a final guidance on July 31, 2013. Concurrent to the PM2.5 guidance, the EPA published a Question & Answer document relating to the January 22, 2013 U.S. Court of Appeals ruling on PM2.5 Significant Impact Levels (SILs) and Significant Monitoring Concentrations (SMCs). On March 6, 2013, an updated version of SCREEN3(dated 13043) was released. Minor revisions were made to the model primarily to allow the program to run on newer operating systems. A clarification memo was published on March 8, 2013 on the use of meteorological data from automated weather stations in AERMOD. The memo includes recommendations for the use of Automated Surface Observing System (ASOS) weather station data in regulatory modeling applications. AERMOD View™ Version 8.1 Released! Lakes Environmental announced the release of AERMOD View Version 8.1 to its growing base of users on January 25, 2013. Support for AERMOD 12345 new source type "LINE"
*This feature is available only to AERMOD View users in current maintenance. For a detailed listing of updates available in AERMOD View Version 8.1, please check out our latest release notes. If you are a user of AERMOD View but are no longer in maintenance please contact sales@webLakes.com for pricing to get up and running on version 8.1. Orders cover full AERMET processing including AERSURFACE and AERMINUTE (where applicable). Use our convenient online quotation request form to search for available nearby surface and upper air stations. Most quotations are sent instantly, so there’s no wait! Visit our website to learn more about how this exciting meteorological service can help to ensure your data sets are fully up to date based on the recent U.S. EPA model updates. CALRoads View™ Version 6.0 Released! On February 7, 2013, Lakes Environmental released CALRoads View Version 6.0. *This feature is available only to CALRoads View users in current maintenance. Check out our release notes for a complete list of the changes and new features available in CALRoads View Version 6.0. If you are a user of CALRoads View but are no longer in maintenance please contact sales@weblakes.com for pricing to update your license to version 6.0. AUSTAL View™ Version 8.0 Released! Lakes Environmental and Argusoft are proud to announce the release of AUSTAL View Version 8.0 on January 9, 2013. AUSTAL View is a graphical user interface for the official German Federal Environmental Agency air dispersion model – AUSTAL2000. AUSTAL View is available in both German and English languages. *This feature is available only to AUSTAL View users in current maintenance. Please see the AUSTAL View Version 8.0 release notes (English – German) for a complete list of these new features. For further information, please contact Lakes Environmental at sales@webLakes.com or Argusoft at info@argusoft.de. On December 18, 2012, the U.S. EPA posted updates to the AERMOD air dispersion model and the AERMET meteorological data preprocessor on the SCRAM website. Please visit our website for a detailed list of changes incorporated into these two models. AERMOD will no longer run with meteorological data created from version 06341 of AERMET. Users are strongly encouraged to update their data to version 12345 of AERMET. LOWWIND1 - increases minimum horizontal turbulence and turns off horizontal plume meander. LOWWIND2 - increases minimum horizontal turbulence and incorporates a modified meander component. A new keyword (LOW_WIND) has been introduced which allows users to input a user-specified horizontal turbulence, minimum wind speed (0.2828 m/s by default), and meander factor in conjunction with the LOWWIND1 and LOWWIND2 options. A new LINE source type has been added as an alternative to the rectangular AREA source. Fixed error in MAXDCONT post-processing when ozone values were missing. Updates to code dealing with Data Period selection in Meteorology Pathway. Modified code for reading hourly emission file source parameters to address large negative hourly emission rates (<90 g/s), low temperatures (<200K), and large exit velocities (>250 m/s). Corrects an error in the convective mixing height calculation. This fix will likely affect AERMOD modeling results to some degree. Adds an option to specify a wind speed threshold for 1-minute ASOS winds output by AERMINUTE. Adds a new BETA option to adjust the surface friction velocity for low wind speed stable conditions. This option is considered a non-Default option and is subject to regulatory review. No longer returns a fatal error when the upper air data file contains data from more than one station. Increased significant digits for ASOS wind speed adjustment (old: 0.26 m/s, new: 0.257 m/s). Code changes for reading HUSWO surface data files. Completeness checks added for ONSITE mixing height data. The Lakes Environmental team is hard at work implementing updates to AERMOD View, AERMET View, and the AERMOD Parallel Version (AERMOD MPI) to address the new changes incorporated into AERMOD and AERMET Model Versions 12345. Lakes Environmental plans to release the new version of AERMOD View later this week. Be on the lookout for an email from us announcing this new release. If your AERMOD View license is no longer in maintenance, please contact our sales team at sales@webLakes.com for pricing to update your software as only users in current maintenance will be eligable to receive this new release. On January 18, 2013, the U.S. EPA released AERSURFACE Version 13016. This update to AERSURFACE Version 08009 contains several bug fixes; internal enhancements to improve error handling and reading of GeoTIFF files; and updates to surface roughness values for multiple categories. This update will be included in upcoming AERMET View Version 8.1 release. Users in current maintenance will be able to download this update from Lakes Environmental’s Support Site upon its release. 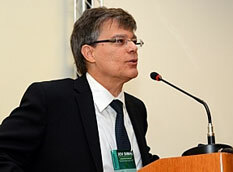 On November 6, 2012, Dr. Jesse Thé, President of Lakes Environmental, presented the keynote speech at FIMAI 2012 (International Industrial Environment and Sustainability Fair) which took place in São Paulo, Brazil at the Expo Center Norte from November 6 to 8, 2012. Dr. Thé's speech was focused on Corporative Sustainability in the 21st Century. FIMAI offered visitors a peek at the latest trends, technological innovations and successful practices in the environmental sector. With its wide array of international and professional exhibitors, this event is one of the most important in Latin America. *This option is only available as long as your license is under current maintenance. For a detailed listing of updates available in AERMOD View Version 8.0.5, please check out our latest release notes. Users in current maintenance: Contact support@webLakes.com if you did not receive notification regarding this update. Users no longer in maintenance: Contact sales@webLakes.com for pricing to access version 8.0.5. On August 27, 2012, the US EPA announced the approval of CALPOST version 6.221 (level 080724) as the US EPA Approved Version, replacing CALPOST version 5.6394 (level 070622). The EPA-approved CALPOST Version 6.221 includes additional options for visibility studies such as the inclusion of "Method 8", which utilizes the revised IMPROVE equation per the October 2010 - FLAG Phase 1 Report. This update only affects CALPOST and no other program in the CALPUFF Modeling System. For more information, please see the US EPA SCRAM website. Lakes Environmental is currently working on a new version of CALPUFF View that will incorporate these changes. The U.S. EPA’s Guideline on Air Quality Models recommends a three-tiered approach to estimate ambient concentrations of nitrogen dioxide (NO2). Tier 3, the most detailed level of analysis, includes non-default regulatory model options for the AERMOD model – the Ozone Limiting Method (OLM) and Plume Volume Molar Ratio Method (PVMRM). When utilizing either OLM or PVMRM, AERMOD requires the specification of an in-stack ratio (ISR) of NO2 and NOX for each source. This introduced the need for well-documented ISR’s since the default value (0.5) may be too conservative for many applications. In response to this need, the Air Quality Modeling Group (AQMG) published a webpage containing NO2 ISR data submitted by modelers and various air permitting offices. This database can be found at www.epa.gov/ttn/scram/no2_isr_database. The expectation is that the formal database (NO2_ISR_database.xlsx) will be updated on a monthly basis (though the frequency will depend upon the number of submissions to AQMG staff). Instructions for data entry and submission are provided on the same webpage referred to above. The conference was well attended and represented by local, state, federal, and international air quality agencies as well as industry members and the engineering community. A special thanks to all our customers who attended. It was great visiting with you and a pleasure interacting with so many experts in the ever-advancing field of emission inventory and air quality. This August, Lakes Environmental will take the stage at the Air & Waste Management Association’s North Texas Chapter meeting. Bryan Matthews, Manager of US Operations and Michael Hammer, Senior Product Specialist both of Lakes Environmental’s Dallas office will be making a presentation regarding Real-World Applications of Advanced Real-Time and Forecast Modeling Solutions. This presentation will discuss advances in emissions modeling technology that allows real-time plant process data to be integrated with real-time meteorological data and meteorological forecast models so that plant operators can adjust operations to avoid compliance issues at downwind monitoring locations. For more information regarding this presentation on Tuesday, August 28th, please visit the North Texas Chapter website of A&WMA. Lakes Environmental and the Clean Air Society of Australia & New Zealand (CASANZ) invite you to participate in a 3-day AERMOD course taking place in Perth from September 17 to 19, 2012. If you are interested in registering for this AERMOD course, please contact Vicki Callaway, Training Administrator for CASANZ at admin@casanz.org.au. Further details including course venue and registration form can be found on the CASANZ website.